Many people with multiple missing teeth choose removable dentures as their solution to restore their mouth and regain their quality of life. However, removable dentures only provide around ten percent biting and chewing strength and frequently need to be replaced or altered to adjust to a changing jaw line. 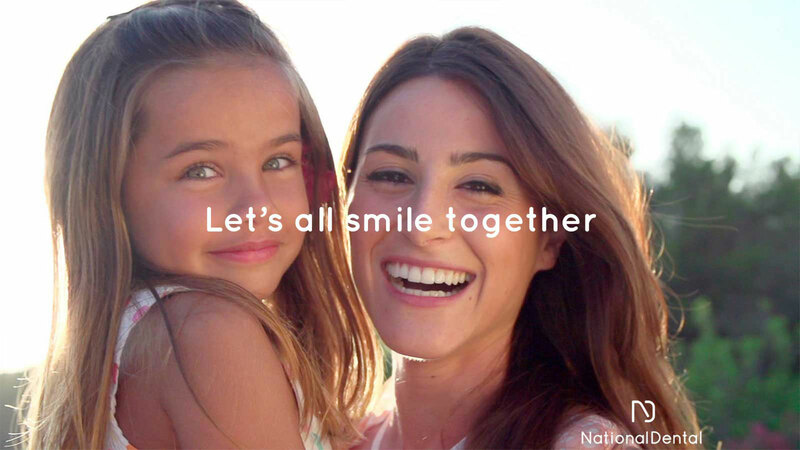 At National Dental, our team of specialists offer a more secure and natural feeling alternative to removable dentures with implant supported dentures. Implant supported dentures combine a denture prosthesis with permanent dental implants to replace all of your missing teeth. By partnering with our office, which houses all specialties, you can have teeth extracted, implants placed, and a custom-made denture designed, milled and placed all within one location. You can regain your quality of life, confidence and appearance! Implant supported dentures differ from traditional dentures because they are securely held in place with dental implants. After any extractions, our team of experienced doctors will place between two and eight dental implants into your jaw in strategic areas that contain the most bone. Once these implants heal and fuse into your jaw bone, a denture appliance that has been retrofitted to support the implants can be attached. While attached to the dental implants, your implant supported dentures will be secure, more comfortable to wear and offer a stronger bite. You will still be able to remove your implant supported dentures at night for proper cleaning and sleeping, but you no longer have to fear them slipping or falling out unexpectedly. Implant supported dentures are so natural looking and feeling, that most people you interact with will never know you were ever missing teeth to begin with. When you choose National Dental for your implant supported dentures in New York, NY, you benefit from our team of highly trained and experienced implant doctors and our state-of-the-art technology. When you come in for a consultation, we will discuss with you all of your smile goals and fears as well as take detailed digital images of your oral structure with a cone beam CT scanner. 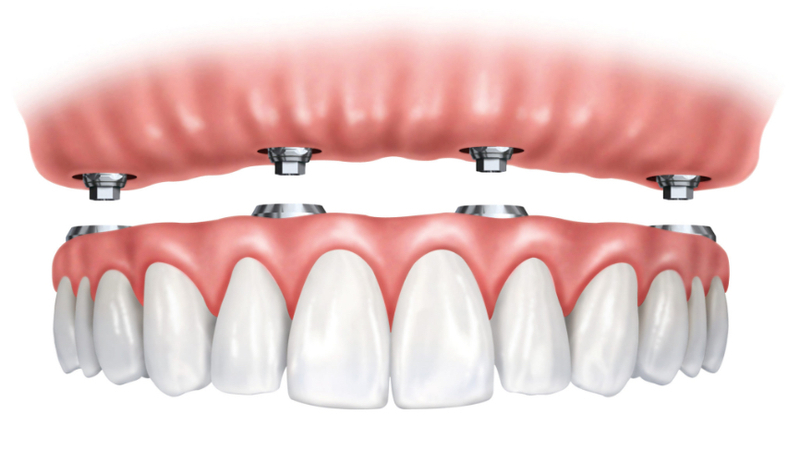 These images allow us to create a computer-generated implant guide that directs our doctors to the exact angle, depth and position for the implant placement of your implant supported denture. Our team is even able to extract failing or remaining teeth and place your new dental implants in just one day. We strive to provide a safe, calming atmosphere and have doctors on-staff who are certified to administer advanced IV sedation for a calming experience. Patients of National Dental love the way their new smile looks and the self-confidence that implant supported dentures give them. You can love your smile too! If you are seeking a more stable alternative with implant supported dentures, then we encourage you to schedule a consultation with our talented team by calling us at (516) 535-0544 or contacting us online.